Colors is one of the resource groups in PitchPrint which can be assigned to or excluded from designs. By default when a new domain is created, a set of 13 color categories are created for the domain. You can always delete these and create your own categories or rename them. Creating a new category is fairly simple, just click the button on the top right corner labeled "Create New Category" and a modal window will pop up prompting you for the category title. When a category is created, you can start adding color items to it. It is important to understand how the color system works on this platform to better make the most of it and avoid issues. 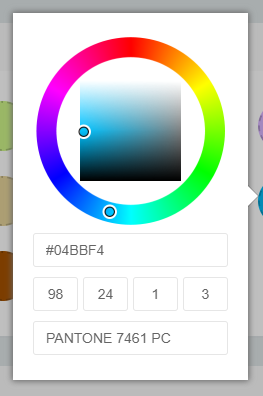 When you click any of the color items, the popup shown above appears with option to provide 3 color inputs to wit: Hex, CMYK and SPOT values. Monitors by default, are based on screen technology and therefore cannot display colors in CMYK. They have to be converted into RGB to be displayed by any monitor screen. The RGB HEX value in PitchPrint is used for display on the monitor screen. 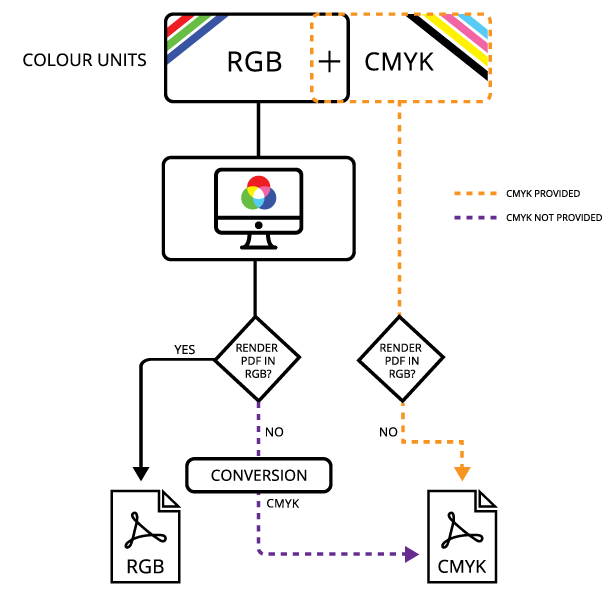 If however, you did not provide a CMYK value, the system will do a conversion of the current RGB to CMYK and use the converted value in creating the PDF. Remember, If a CMYK + SPOT value is provided, the system automatically uses that value for the PDF and so, if your screen preview's color vastly differs from the PDF output, it must be that the colors you provided do not match. The system does not do any conversion unless either is missing. It simply uses those values are they are provided.